The British Army may not realise what is about to hit them. That is the suspicion in the Bentley ARLFC camp ahead of one of their biggest ever games. There’s a buzz about Bentley as the village’s rugby league club, based at Woodside Playing Field in Scawthorpe, prepare to make history. They will play in the first round proper of the Coral Challenge Cup for the first time ever on Saturday (2pm). Head coach Andy Whitfield accepts his side will be viewed as the underdogs against an ultra-fit Army outfit. But he has warned the soldiers - who reached the third round of last year’s competition - to expect a battle in Doncaster. “I think they see us as just a little Yorkshire team,” Whitfield told the Free Press. “I know a couple of lads in the RAF team. He added: “To be honest I don't think we're favourites. “I think a lot of people are expecting us to get beat to the Army because of their physicality and their fitness. “There’s no doubt it'll be a tough physical game. “They're going to be very fit so we're expecting a high intensity, physical game for 80 minutes. “I've watched them a few times. I saw them play against the RAF in the Inter Services and they are a good, well-drilled side. “They've got good line speed and they're very fast around the ruck. Bentley lost 40-4 at Oldham St Annes in the preliminary round of the Challenge Cup in 2012. 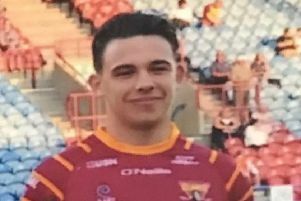 Last season the club suffered an agonising last gasp defeat to Batley Boys in the Yorkshire Men’s League Premier Division Grand Final. But the silver lining was entry into the first round of the world famous knockout trophy. They are among 52 teams involved in this round, including 44 amateur sides, three Armed Forces teams and Serbian side Red Star. “We had a big season last year and that's earned us the right to play in the competition,” said Whitfield. “It's been a massive effort by all the lads. “We did say it was a big ambition of ours to get to play in the Challenge Cup and the lads have delivered. “We finished second in the league last season and got to the play-off final where we lost to a drop goal in the last minute. Bentley are hopeful the tie could pull in their biggest ever crowd. Admission is free but the club will be asking for donations on the day. 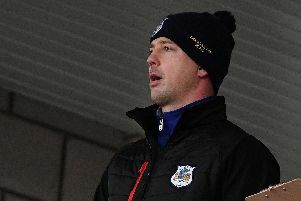 “It's massive boost to the club and everybody seems to be taking an interest,” said Whitfield. “When we promote games and events that we do on Facebook we usually get around 2000 views. “When we put it on about playing the Army in the Challenge Cup it reached over 10,000. “That's how big it is. “The atmosphere's great around the club. “We don't usually start back training until after Christmas but the lads were back before December. “They all wanted to train over Christmas during the break. “I can't knock their effort. They're really putting it in on the training ground. “They're feeling the buzz off each other, the people involved in the club and also the people you speak to outside of the club. Bentley will be without Callum Hickling, their top try scorer last season, due to a hand injury. Their starting 13 is likely to include former Dons star Dean Colton and former Leeds Rhinos prop Jamie I’Anson.